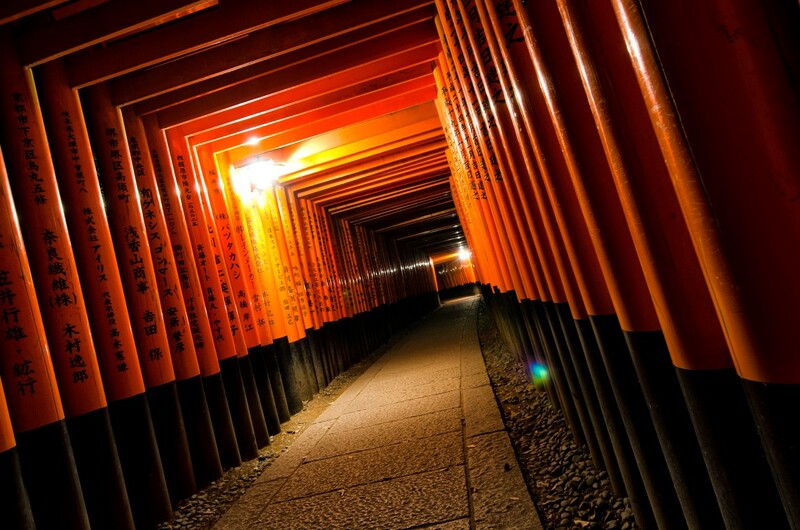 The Torii gates at Fushimi Inari Shrine give me one more reason to love historical Japan. These gates date back to 711 A.D. In addition to age, these grounds are said to hold over 10,000 Torii gates. 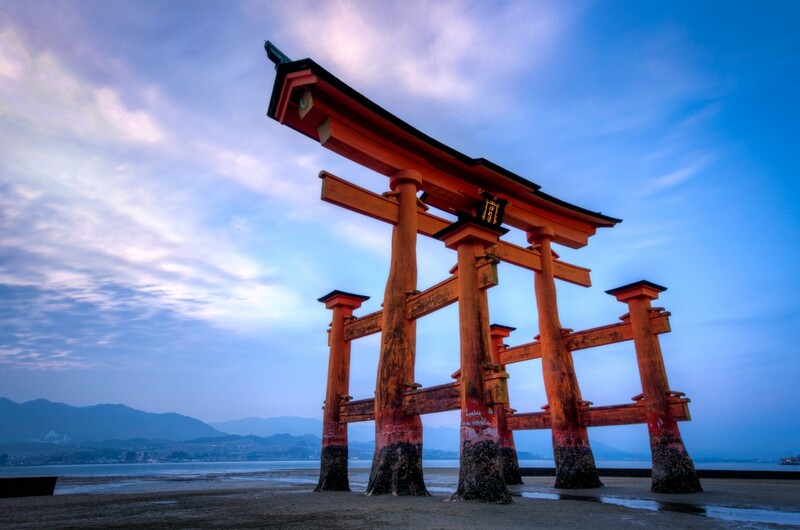 To give a little background, a Torii gate is seen as an entrance to a sacred shrine in the Shinto religion. They mark the pathway to shrines across Asia, and I’m sure you’ve come to know them as a symbol of Japan. What is unique about the Torii gates at Inari Fushimi, though, is their background. Each gate has been donated by a company or organization giving thanks for their prosperity and in hope of good fortune in the future. I only wished I could read one of the names engraved on a gate, but for now it remains to be beautiful artwork representing Japan’s past. I’ve you visit Fushimi Anari Shrine at night you will also see foxes places throughout these grounds, as they are said to be messengers for Inari. 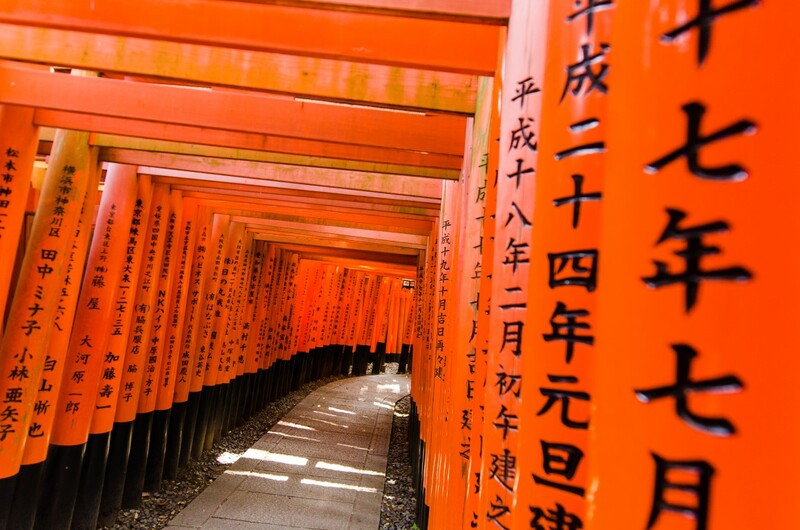 But, if you’re more interested in sightseeing than knowing the history, you can still enjoy the Fushimi Inari shrine just as much. 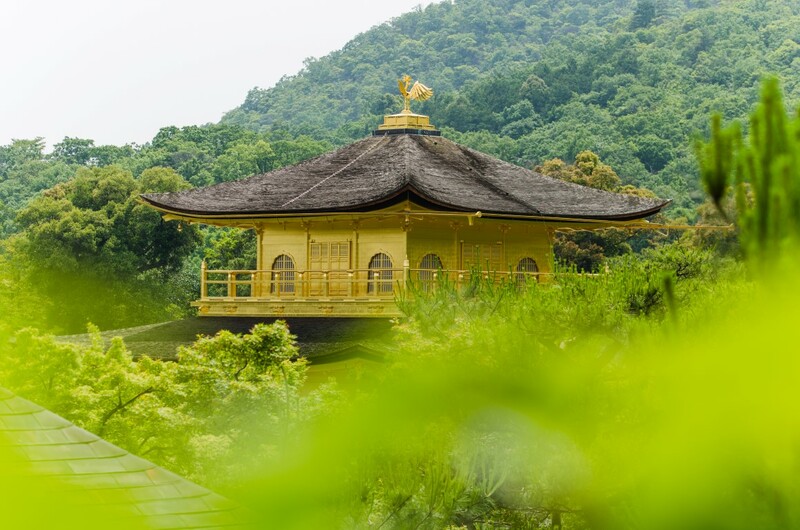 As you enter the large main Torii gate you will see multiple shrines and neat shops for souvenirs. Then you will start to make your way up the stairs on the journey through the 10,000 Torii gates. The varying sizes and faded colors surprised me the most. Since pictures don’t do it justice, you have to see all of it for yourself in person. While taking the long hike through the gates and up the hill, you will see even more shops for souvenirs and food. This is all leading up to the top of the hill, which overlooks beautiful Kyoto. To get to the top and return again to the bottom would take 3-4 hours. Because we didn’t had enough time we were not able to take the hike. Thankfully, you don’t have to walk the entire path, though. You can enjoy as much or little as you want, then make your way back down through the gates to enjoy the scenery and Torii gates all over again.